This Crystal Rectangular Solid Surface Lavatory is a flawlessly perfect addition to any bathroom, especially if you're looking to save on space! 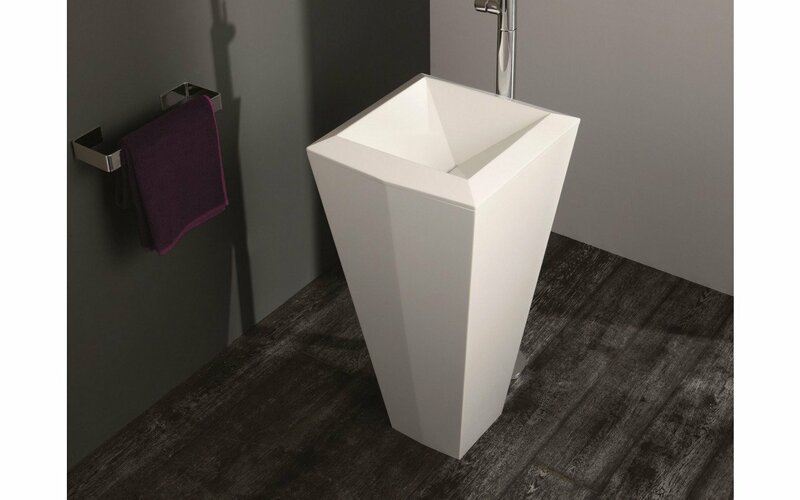 Charismatically unique, this rectangular freestanding lavatory has been designed and manufactured in Italy, using one-piece, solid AquateX™ material, in order to give you the best and most durable basin, which is not only highly functional but also extremely chic, adding a sense of unique style to your bathroom. These beautiful freestanding lavatories are available in a silky white finish, measure at 45 x 45 in size, and come with a floor pipe for easy installation. 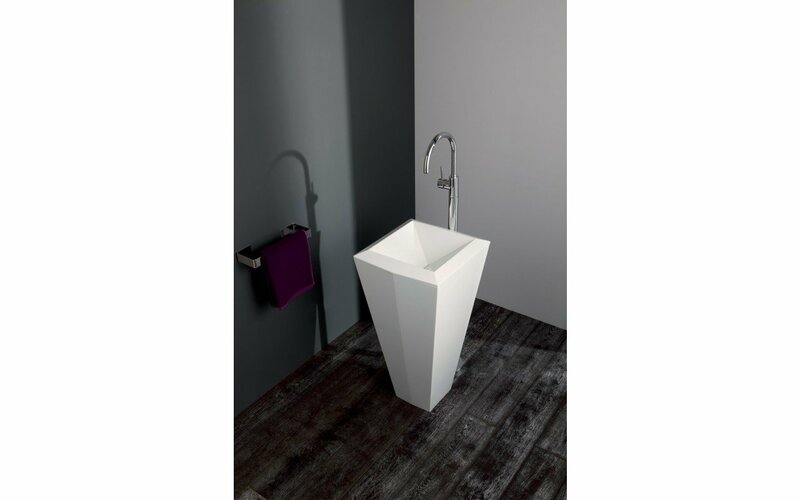 This Crystal Rectangular Solid Surface Lavatory is a flawlessly perfect addition to any bathroom, especially if you're looking to save on space! 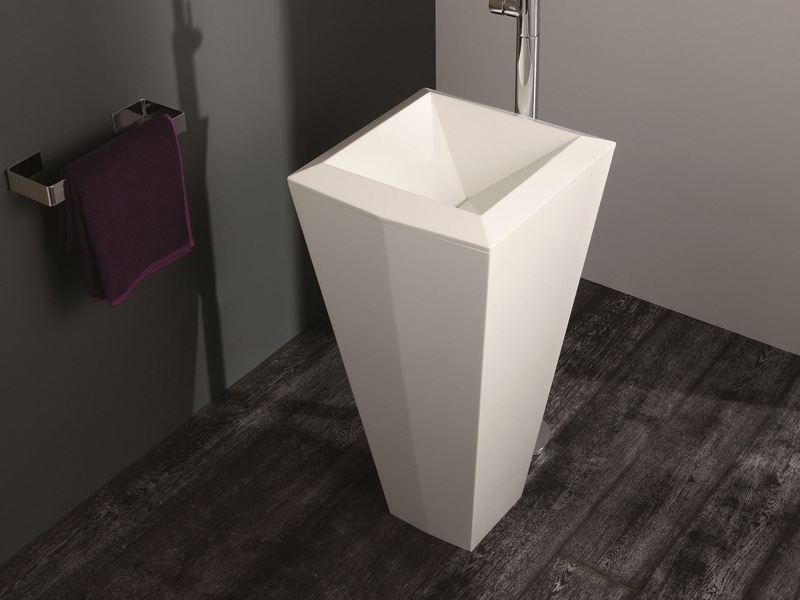 Charismatically unique, this rectangular freestanding lavatory has been designed and manufactured in Italy, using one-piece, solid AquateX™ material, in order to give you the best and most durable basin, which is not only highly functional but also extremely chic, adding a sense of unique style to your bathroom. These beautiful freestanding lavatories are available in a silky white finish, measure at 45 x 45 in size, and come with a floor pipe for easy installation.